Evenings are still rather chilly in Jerusalem during the month of April. The priests, standing on a raised platform, were all shivering in their thin white linen clothes, especially after they had to remove their shoes and socks and purify their feet in water. Several hundreds of people were watching as the priests struggled to light a fire on the altar and to get a wooden spit to pierce through the sacrificial lamb. This somewhat clunky ritual event, titled “Practice Passover Sacrifice,” took place on April 18, 2017. Several different organizations that strive to build a Jewish Temple in Jerusalem and to establish a sacrificial cult therein have been working together to produce and promote “Practice Passover Sacrifice” events for over ten years. These events have become increasingly mainstream in Israeli religious-Zionist circles in the last couple of years, and are now endorsed by leading rabbinic figures as well as by political and municipal authorities. The events are framed as “practice sacrifice” since Jews are not allowed to perform actual sacrifices anywhere except for the Temple Mount, a space so contested and explosive that it is currently off limits for any form of Jewish worship. The organizers, however, encourage Jews descended from priestly families to learn and master the procedure, so that once government permission is given a sacrificial cult can be restored on a moment’s notice. The Temple lobbyists are usually viewed through a political lens, as extreme right-wingers whose main goal is to secure Jewish/Israeli control over all of Jerusalem. What is often overlooked, however, is the centrality of animal sacrifice in their religious vision, almost 2000 years after Jewish sacrifice ceased to be practiced. This emphasis on animal sacrifice is not esoteric or arcane: it is a manifestation of what supporters of these organizations view as the only authentic, original, and scripturally-committed way of being Jewish. Indeed, like members of most other ancient Mediterranean religions, ancient Jews equated piety, worship of God, and communal identity with rituals involving the slaughter and burning of sheep, bulls, and rams accompanied by libations of oil and wine. The common story, however, is that once the Jerusalem temple was burned in 70 C.E., Jews had to figure out a new way of being Jewish, which could no longer be connected to the Temple and to the sacrificial cult. The rabbis of late antiquity are the heroes of that story: they are often thought to have positioned the study of texts as the most important dimension of Jewish life, and to have instituted prayer and charity as viable and even superior substitutes for the sacrifice. Judaism today, whose texts and practices rely heavily on the rabbinic corpora of late antiquity, is accordingly understood as stemming from the efforts of the rabbis of the first centuries C.E. to turn Judaism from a sacrificial religion into a book religion. These efforts were ostensibly so successful that today, most Jews in the world never associate Jewish life or faith with animal sacrifice, and they are often surprised (if not mortified) that there are still Jews out there who think that sacrifice is something to value and hope for. But the truth is that throughout centuries of Jewish thought and practice, sacrifice never truly went away: it remained a ghost of the past, a “repressed” that keeps returning, and a possibility that is always on the horizon, even if only to be dismissed and abhorred. 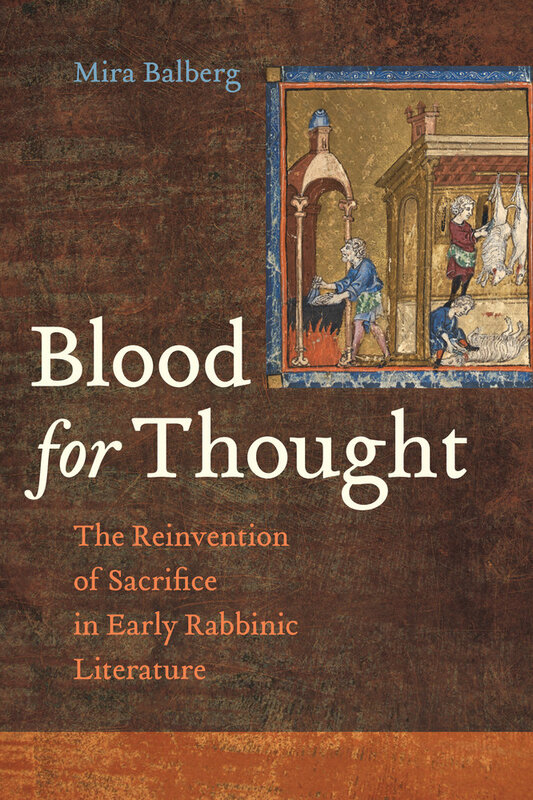 In my book Blood for Thought I argue that sacrifice was never substituted by the rabbis, but rather reinvented. A process of sacrificial reinvention, both fascinating and troubling, is happening again in our own times. 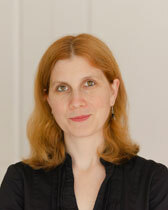 Mira Balberg is Associate Professor of Religious Studies at Northwestern University. 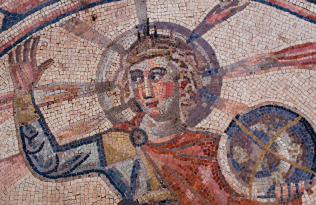 Her first book, Purity, Body, and Self in Early Rabbinic Literature, examines how ancient Near Eastern ideas and practices of bodily purity were reconfigured by Palestinian rabbis of the 2nd and 3rd centuries through the influence of Greek and Roman medical and philosophical doctrines. 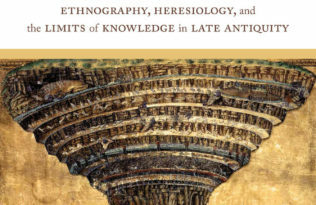 Her new book, Blood for Thought: The Reinvention of Sacrifice in Early Rabbinic Literature engages with the process known as “the end of sacrifice,” the rapid decline and ultimately demise of sacrificial modes of worship in the Mediterranean region in the first half of the first Millennium C.E.